Cyber 21 sp 2018 Mountain bike. Cyber Mountain bike. Shimano 21 Speed Gears. Here it is! The Cyber Shimano 21 speed Mountain Bike. Shimano Shifter EF51. Cyber Online. －　3 x 7 = 21 speed Shimano. Very good condition. Presents really well. Front brake is an Odyssey rear is a Mx. Rides well. Odyssey pedals, Skyway tuffs see photos pick up only. Stanwell Park. Trending at AU $233.32eBay determines this price through a machine-learned model of the product's sale prices within the last 90 days. Cyber Mountain bike. Cyber 21 sp 2018 Mountain bike. Shimano 21 Speed Gears. Here it is! The Cyber Shimano 21 speed Mountain Bike. Shimano Shifter EF51. Cyber Online. －　3 x 7 = 21 speed Shimano. Trek Mountain Bike 29r Xcaliber 8 2016 Large 21.5 frame size. Condition is Used. Tyres are brand new, very well looked after bike, never ridden off road, stored in side. Only selling as I bought a new road only bike and this hasn't been ridden since. Has spd peddles for MTB shoe clip ins, but big enough peddles to ride with sneakers. To give an idea of size I'm 6'1". Full specs here: https://archive.trekbikes.com/us/en/2016/Trek/x_caliber_8#/us/en/2016/Trek/x_caliber_8/details Pick up only or I can deliver within 30km for $30. 80cc 2 Stroke Motorised Engine Kit for Push Bike Bicycle. 1 × 80CC 2-Stroke Engine (Black). This kit will allow you to turn your bicycle into a gasoline powered motorbike. Engine Type: 2 stroke Single Cylinder Air-Cooled. Trending at AU $160.65eBay determines this price through a machine-learned model of the product's sale prices within the last 90 days. TYRE 700C 28C. Shimano 21 Speed Gears. Speed: 3 x 7 = 21 speed Shimano. Shimano Shifter A050. Shifter freewheel:Shimano TZ-21,14-28T,index 7sp. Front Derailler Shimano TZ-30 28.6. Rear Derailler Shimano TZ-50. Old School Bmx Bike Speedwell Sting. Condition is Original. Found under a house cleaned it up a bit. See photos, pick up only. Stanwell Park. Giant Sedona Ladies Bike. Condition is Used. Local pickup only. Cyber Mountain bike. Here it is! The Cyber Shimano 21 speed Mountain Bike. Cyber Online. The Cyber MBT bike need assembled. －　Mountain bike saddle. Shimano 21 Speed Gears. In addition to assembly,brakes and gears will need adjusting. Trending at AU $253.71eBay determines this price through a machine-learned model of the product's sale prices within the last 90 days. Cyber Mountain bike. Here it is! The Cyber Shimano 21 speed Mountain Bike. D300 Black&Red. Shimano 21 Speed Gears. Cyber Online. －　3 x 7 = 21 speed Shimano. －　Gears: 21 Speed Shimano. Export quality, 90% mainly export to Canada, France, Asia and now arriving in Australia. 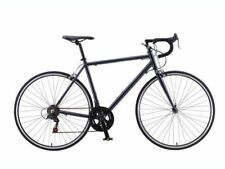 －　Shifter: 7 Speed Shimano TX30. 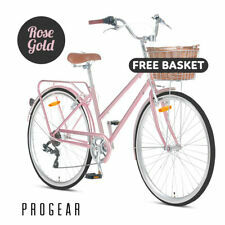 Note: Saddle bag behind seat is not included & pedals are not foldable. －　Rear Deraiuller Shimano Tourney TZ500. Dual Suspension Specialized Enduro MTN Bike. 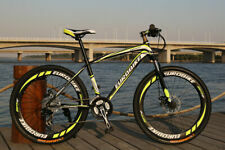 Suspension: Specialized Future Shock E150 fork, Specialized AFR shock. Specialized Forks. Fox Float RP23 Shock. High Performance 80cc Engine Kit for Motorized Bicycle. 2 Stroke 80cc Engine Kit for Push bike with High Performance Modification. The latest high compression slant head spark plug is for extra boost and throttle response. Condition is Used. in fair condition. serial number 93784. Up For sale - Mongoose Freestyle BMX - Villain Mid / Oldschool. Mongoose crank disk & Cranks. Mongoose peddles. Bike has no brakes. slick tyres. FREE BASKET!!!! LIMITED TIME ONLY!!! The strong yet lightweight materials used in the construction of this Urban Traveller Bike make it portable as well as sturdy and durable to withstand harsh city conditions. 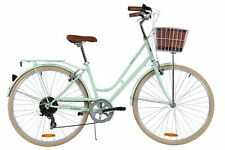 With 7 speed Shimano gear settings, this bike lets you ride smoothly across tram lines, up and down hills and over curbs. racing bike, used, good condition. DON'T USE PAYPAL AS A PAYMENT METHOD! CASH ON DELIVERY OR BANK TRANSFER IS FINE. Trek Bike Dual Sport 19 inch frame. Great Condition. Trek Bike Dual Sport 19 inch frame. Great Condition.. Condition is Used. Local pickup only. Condition is Used. Pi ck u p on ly f ro m Glenwood 27 68 n sw.
Academy aspire 2014 red black time to ride ,freestyle light weight 11.4kg . An icon of the 90’s downhill scene. Front and rear sunn hubs laced into Mavic 121 rims. Obsys fork (from a 99 Radical). Brute handlebar and stem. Custom chain guide system. Rear brake hose was cut but is still long enough to re use. 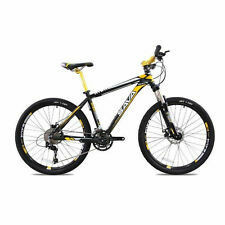 Brand New Mountain Bike ---21 speed ---26 inch ---Double disc brake ---Damper ---Professional design. 80cc Motorized Push Bike 2 Stroke Motor Engine...great Project..
Get your kids outside and active from an early age with a kids balance bike available right here on eBay. A balance bike is a training bike that helps to teach children how to balance and steer. With no pedals or drivetrain, your kid can get used to the bike without the complications of a chain. Balance bikes are typically made from metal or wood. 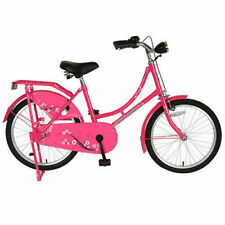 Sometimes they are standard bikes with the pedals and other moving parts removed, or they may be purpose built, which typically will be what you find in eBay's fun range of kids balance bikes. Some kids balance bikes will have hand activated brakes. To function correctly, the balance bike must be small enough that your child can place their feet on the ground and “walk” the bike while sitting on the seat. Typically, your kid will first walk the bike while standing, then will sit and walk the bike, and then will move on to running and scooting, and finally, your child will progress to lifting both feet off the ground to cruise on two wheels. The aim is that your child learns to balance and steer first, without the complications of pedalling. They also won't become dependent on training wheels. What if your child is too young for a balance bike? If you don't think your child is old enough for a kids balance bike yet, then check out eBay's range of ride on toys or building toys, perfect to keep your child entertained and busy until they grow into a kids balance bike. Available in a huge variety of styles, colours, designs, and heights, buying a kids balance bike is exceptionally easy online as you're able to compare models from the comfort of your home. 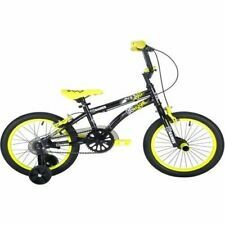 Find great balance bikes and other children's toys here on eBay, and have your kids cycling the great outdoors before you know it!